California Flower Mall teams up with the Blessing Bags-4-LA Homeless Women campaign and the LA Fashion District to raise awareness, funds and gift bag donations to help homeless women feel loved, cherished and remembered on Mother’s Day. CFM will donate hundreds of Mother’s Day flowers to brighten the day for women at the Downtown Women’s Center drop-in facility and host a Blessing Bags-4-LA Homeless Women donation station with the LA Fashion District and campaign volunteers during CFM’s 24/7 Mother’s Day holiday weekend -- the biggest flower holiday of the year for petalers at the wholesale flower market. 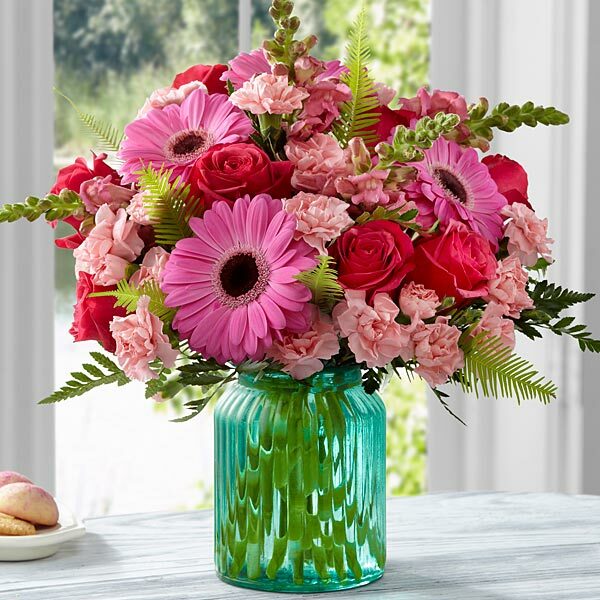 “Mother’s Day flowers will brighten the lives of two thirds of U.S. Moms this weekend according to a report by the National Retail Federation. In stark contrast, 13,000 homeless women living on the streets of Los Angeles will have little if any Mother's Day cheer. 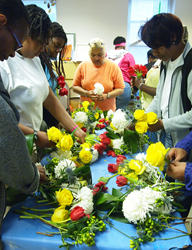 California Flower Mall is grateful to be able to give the joy of Mother's Day flowers to Downtown Women’s Center participants. Teaming up with the LA Fashion District and the Blessing Bags-4-LA Homeless Women campaign to give bags of personal hygiene essentials to the Downtown Women’s Center helps us all because Mother's Day is the equivalent of Christmas for the flower trade,” says Mark Chatoff, owner and president of 45 vendor San Pedro St. wholesale flower market and a member of the Board of Directors of the LA Fashion District BID. “Our mission is to have every homeless woman feel loved, cherished and recognized. We have met with homeless women’s shelters and compiled a list of the most important things desperately needed,” says Emily Blake, co-creator of the Blessing Bags-4-LA Homeless Women campaign. To contribute funds or donate items come to the California Flower Mall Blessing Bag station Saturday 9 a.m.to 9 p.m. or Sunday 9 a.m. to 5 p.m. People can donate funds anytime at https://www.gofundme.com/blessingbagsla. The blessing bags will be donated to the Downtown Women's Center a nationally recognized model for ending homelessness for women. They operate a wide range of wrap around services including a drop-in Day Center where about 200 women are served daily with essential services and a safe and welcoming space away from the rigors of the street. The DWC is the recipient of the gifts collected and donated by the campaign partners; it is not a sponsor of the drive. The blessing bags GoFundMe campaign was birthed by a group of women led by Emily Blake and Debbie Welsch. “The collective vision is to create awareness of women’s homelessness and proven ways to end it. Our group wants to humanize homelessness, to decriminalize it and to focus resources on ending it. Homeless people have been through trauma and illnesses. They need help to get well, it’s not just their problem-- it’s everyone’s problem,” says Debbie Welsch a homeless women’s empowerment champion and urban designer for the real estate development firm Capital Foresight, LP. She is also a member of the Board of Directors of the LA Fashion District BID. “The Fashion District is proud to partner with the Blessing Bags-4-LA Homeless Women campaign and the California Flower Mall to help raise awareness for homelessness and quality of life issues affecting women in Downtown. It is an opportunity for the community to come together and help some of its most underserved members,” says Kent Smith, Executive Director of the LA Fashion District BID.